This .338 Winchester Magnum Cal. 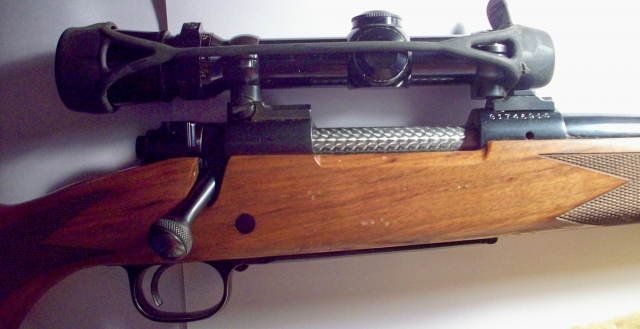 Winchester Model 70 was made in 1984. Condition -metal 99% Wood 98%. 24" barrel with sights. Scope is a Leupold Veri X lll 1.5 X 5. This rifle killed a 10 foot Kodiak Bear. Great shooting accurate rifle. $695.00 plus $30.00 shipping and insurance.